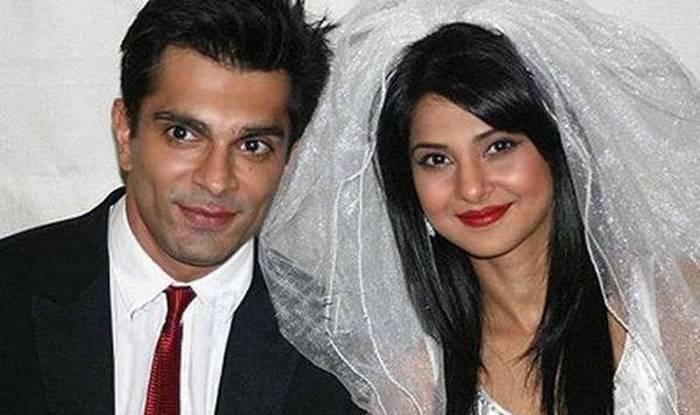 Home » Bollywood News » Monkey Couple's 2nd Anniversary: What Bipasha Basu said about Karan Singh Grover's ex-wife Jennifer Winget is surprising! Monkey Couple's 2nd Anniversary: What Bipasha Basu said about Karan Singh Grover's ex-wife Jennifer Winget is surprising! It is generally said that 'couples are made in heaven' and we believe that is true too. Sometimes in life you fall in love not once but twice too but no one can stop you from achieving what is yours and same is the scene of Television actor Karan Singh Grover who after marrying twice got married to Bollywood actress Bipasha Basu and shocked everyone with his third marriage. Bipasha and Karan popularily known as the 'Monkey Couple' are celebrating their 2nd marriage anniversary as they got married to each other on April 30, 2018. Ever since they are together, people leave no chance to talk about their relationship and wether it will be successful or not since Karan previously had two failed marriages one with Shraddha Nigam and the second with popular actress Jennifer Winget. Karan and Shraddha got married to each other on 2 December 2008 but soon their relationship did not work and they both decided to separate with each other. Next, he got married to Jennifer in the year 2012 but in the year 2014, news started to pour in that they both have decided to get separate that bought a shock to their fans. Later, Bipasha and Karan started, after acting together in film Alone, fell in love with each other and started hanging out with each other. Well, they both decided to take their relationship to the next step and decided to get married to each other and so they did and everyone became a fan of their way of marriage. Happy official wedding anniversary @iamksgofficial ❤️Another year has whizzed past ... i thank god each day for you... and for our love ,for each other 🙏 #monkeylove is the sweetest kinda love 😍 #monveyversary - we celebrate over 3 days ! Though our actual wedding happened on the 30 th of April 2016, we did our legal signing on the 28 th of April. She was even asked about how she felt when she came to know that the previous marriages of her hubsand has failed and if Jennifer or Shraddha affect her to which she said that they don't bother her anymore because she understands his story and journey. Well, it seems that they surely understand each other quite well and rather than thinking about what happened in the past they are focussing on their present and their future. We wish the couple a very happy anniversary and a long journey of togetherness!